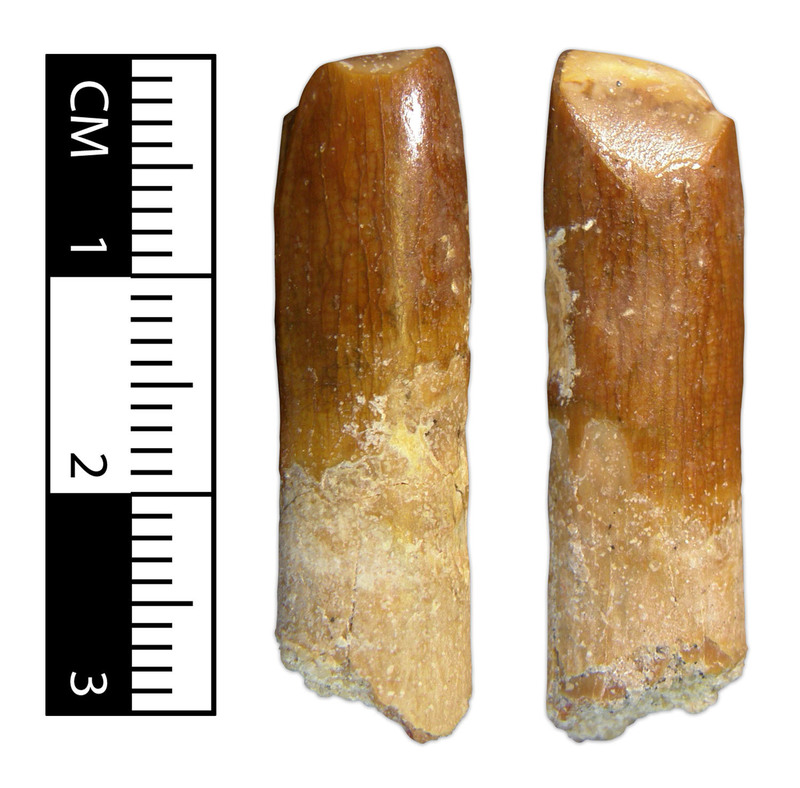 A tooth of a Sauropod. are sauropods rare from Kem Kem? They are definitely more rare than Spinosaurid, Carcharodontosaurid and Abelisaurid teeth which are the most common types in Kem Kem. But I've seen them around on the internet fairly often. So I dunno.